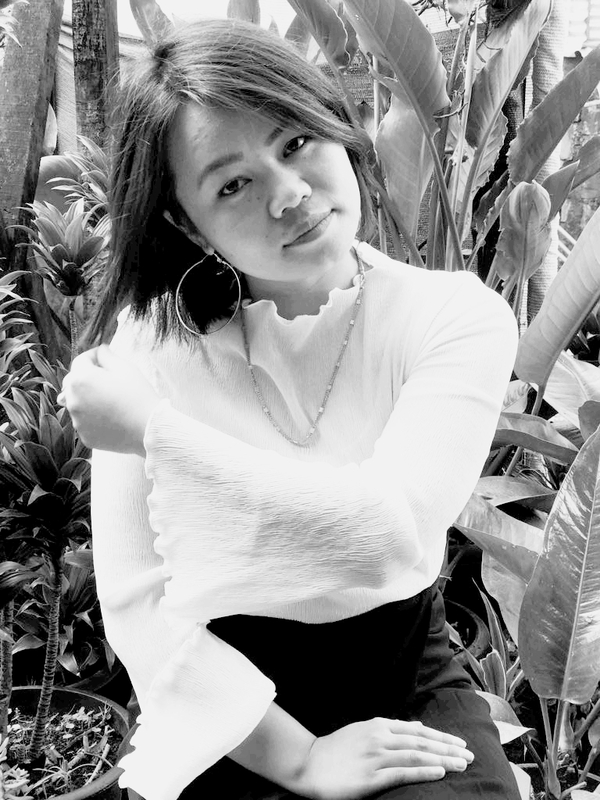 We had a lovely chat with fashion designer Alem Ozukum from Kohima, Nagaland who gave us an insight into her creative process, her humble life mottos and her hopes and dreams for her brand. Meet fashhion designer – Alem Ozukum. Hello Alem. Tell us a little bit about yourself. 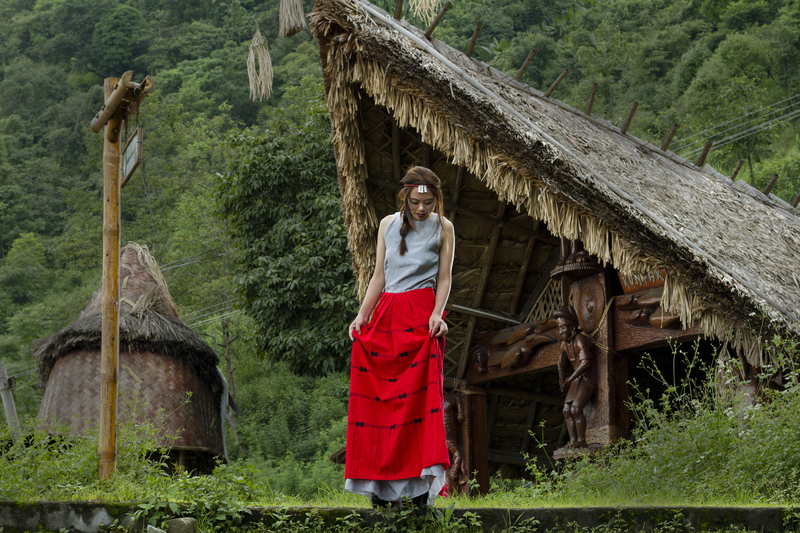 Hi my name is Alemzungla Ozukum, I am a fashion designer based in Kohima, Nagaland. I am the founder and creative head of my own contemporary fashion label ‘Alem Ozukum‘. Art was always a passion for me and from an early age, I turned my focus to fashion and designing. After receiving my degree in Fashion Design and Merchandising from National Institute of Fashion Technology, Kolkata, I knew my path on becoming a designer had widened… I always knew that it was the path I wanted to take. Tell us about your brand and what makes it so special to you. I work on my label Alem Ozukum out of my home studio. We make easy ready-to-wear outfits, bridal wear and garments on order. For now, it’s just me working on these designs but I do have helpers who assist me occasionally depending on my workload. 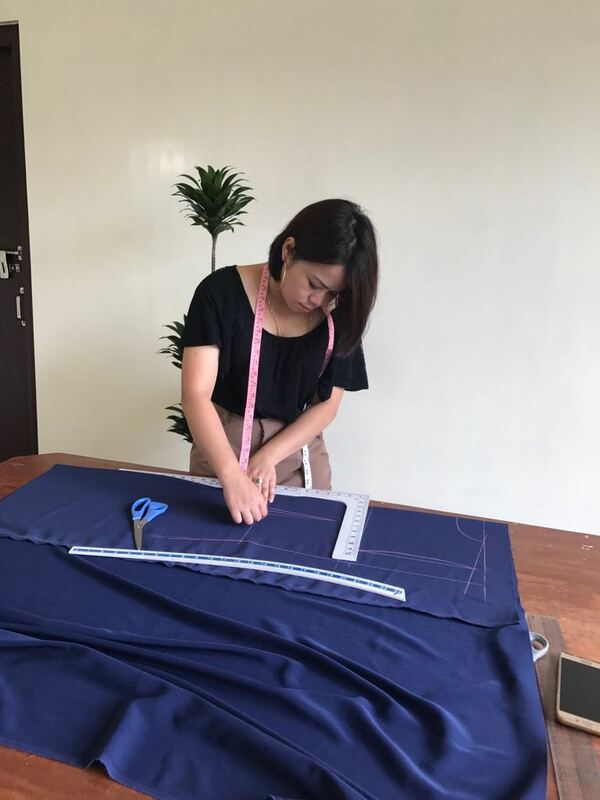 Since I’m involved in the whole process – right from meeting clients to designing and sewing – there is a lot of personal attachment to every garment that I make… I think that’s something that sets my brand apart from the rest. Alem Ozukum working out of her home studio. What is the story behind the name and the band concept? Well, I think Alem Ozukum has some ways to go before I would call it a full-fledged brand for now. But in due time, hopefully, I can leave a lasting footprint in the industry. I hope to expand into the lifestyle products as well and enhance all areas of my customers’ life. How have your roots and upbringing influenced your style and work process? My family is a big family consisting of 6 people and I am the second of three girls and one boy. Growing up our parents influenced and supported us in whatever we were passionate about. They taught us to be independent, be it in our studies or in choosing our own careers. They are a big reason I can do what I love every day and have the self-confidence to run my own brand. One very important thing we learn as we grow older is to ‘give’… No matter how much you have or how much you earn, less or more, you learn to share with those who are in need. No matter how much I earn and successes that come my way, I make it a point to give back to my roots and to share my joy with everyone who’s supported me. I believe that the more we give, the more we want to work harder. There is always joy in giving without the expectation of receiving something in return. The more you give of yourself, the more you find yourself. A two-piece fusion outfit by Alem Ozukum. A fusion of traditional and modern design- by Alem Ozukum. Fashion is such an important part of my life. And I strongly believe that if we do what we love it makes us happy. If I wasn’t working professionally as a fashion designer, I would probably be teaching or instructing in one of the fashion schools. What are some of the biggest challenges you’ve faced in your journey so far? For an introvert like me, working from home can be productive, rewarding and pretty awesome on most days, but it can also be pretty challenging sometimes. Since you are your own boss you have to manage everything on your own, from time management and scheduling. Moreover, the use of social media is pretty daunting, I think. It’s undeniable that social media really plays an important role in fashion today. It in itself is such a new industry and is a great method of promoting your work in your own personal way. Keeping up with the competition and promoting your work to stand out in this sea of visual information is quite a challenge. What have been some of the bigger learnings? As it is said, ‘Learning is never ending.’ We begin to learn the moment we start our lives and it ends only when we enter our graves. Being in this business I have learned that time management is really important. You also need to be responsive, professional, more organised and self-disciplined. I still do believe in my path and I’m excited that I have lots to learn in the coming years. Remember to never, ever give up on your dreams. What have you been working on… What can we expect from the house of Alem Ozukum this season? As of now I mostly only work on custom orders. Since wedding season is just around the corner, I’m currently working on a collection of bridal gowns with complementary bridesmaid dresses and a couple of pieces for formal occasions. Indian Fusion Collection for petite women by Alem Ozukum. Indian Fusion Collection for petite women. White and gold Anarkali by Alem Ozukum. To see more designs by this talented designer, check out her brand Alem Ozukum on Instagram and Facebook. Hot pink and black formal two-piece by Alem Ozukum. Loves photography and enjoy hanging out with artists and interesting folks from Nagaland.